Latest Engineering Jobs in India: We create this page for the job fighters who are looking for Latest Engineering Jobs across India. All the candidates who completed their B. 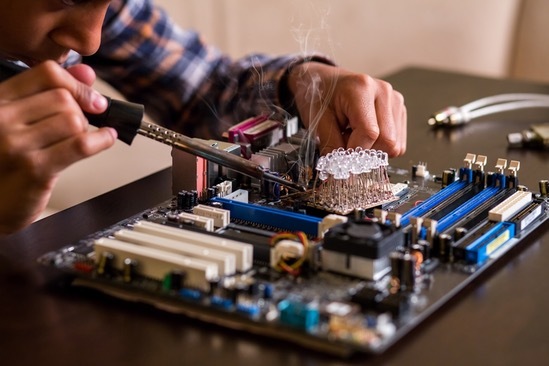 Tech in various streams such as IT, Computer Science, Electronics & communication, Electrical, Civil, Mechanical Engineering, AE etc get updates regarding latest Engineering Jobs from here. Both Freshers and Experienced candidates can keep an eye on this article. Nowadays there is a heavy competition for Engineering Jobs most of the candidates want to build their career in IT field. But the in tenders didn’t get any information related to the Engineering Jobs. For the sake of candidates, we are providing complete details on this page. Therefore read the complete article attentively. After completing an Engineering Degree candidates can start finding latest Job Openings in various companies to make their career, some people choose for private company jobs some of them choose government jobs. In this page, students can get all the important stuff related to Engineering Jobs. There is wide range of career opportunities for Engineering Jobs. To get selected for a job, students have to qualify some of the selection rounds such as Written Examination, Group Discussion and Personal Interview etc. Candidates who are hardly preparing to get selected in an Engineering Jobs will have many opportunities. To know more Job Openings refer the entire post. On this page, candidates can get the Engineering Jobs in India like BHEL recruitment, IOCL recruitment, ONGC recruitment, Sr. engineer posts in railways, Jr. engineer posts in railways etc. TERI Recruitment Latest Openings Check Advt. Focus Energy Recruitment 265 - Admin, Engineer & Various Posts Check Advt. IIAP Recruitment Trainee, Engineer & Various Posts Check Advt. IMSC Recruitment RA, PA & Various Posts Check Advt. TCIL Recruitment Driver, Helper, Technician & Various Posts Check Advt. NIT Karnataka Recruitment JRF Posts Check Advt. Catholic Syrian Bank 108 - Manager & Various Posts Check Advt. OSSC Recruitment 283 - Police Posts Check Advt. One of the biggest benefits to achieve an Engineering Jobs is that promises to provide you with a variety of career opportunities. Students who are pursuing their final year or completed their engineering can utilize the latest Engineer Job details which are available on this page. Competitors, who want to build their career in private or government sector should take a look on this page and get much more information regarding Engineer Jobs In India. Engineering Degree can offer you a satisfying area of work with various benefits as well. Engineers are some of the most creative people in the society nowadays there is a huge demand for Engineering Jobs. As compared to other professions the Engineering Graduates can get the more salary package as well as more perk. The main reason candidates are choosing Engineering Jobs because they provide Job security. We have gathered all the regarding Engineering Job Vacancies. This post is completely dedicated to the people who are searching for latest Engineering Jobs after their graduation. All the student’s freshers/experienced engineering aspirants can read through the Openings details here and apply as per their qualification for the posts they are eligible to apply. There are many government and private sector which furnish a good chance to engineer in the reputed department. According to the branch wise the organization releases various Job Openings of Engineer candidates. As we all know that every year a huge number of candidates passed out their Engineering Degree from the different colleges/institutes throughout the India. Many of the candidates are dreaming of setting up their carrier in best organization. So for all those contenders we build this page and provide Latest Engineering Jobs in India. Candidates if you have any doubt regarding this article then leave your comment in the below box. Our main purpose is to provide all the latest Engineering Job Vacancies to the students. Stay connect with our site for regular basis.